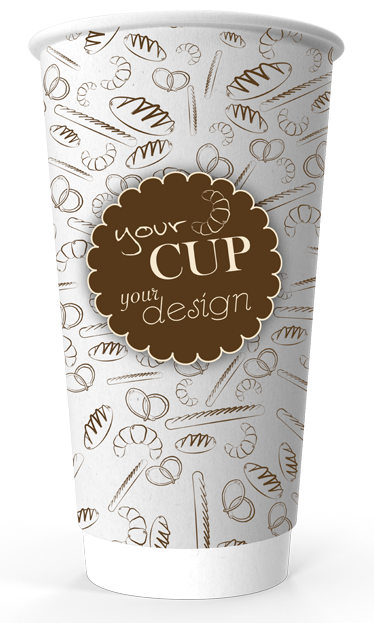 Custom designed, eco-friendly double walled printed paper cups printed on the highest quality boxboard. 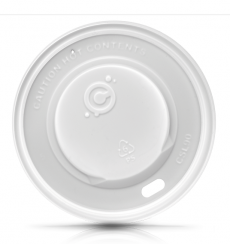 Custom designed takeaway, eco-friendly, Double Walled Printed Paper Cups printed on the highest quality boxboard. 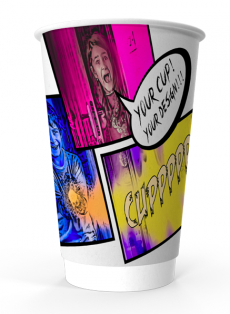 These cups are available with high quality CMYK, full colour wrap all-over printing. 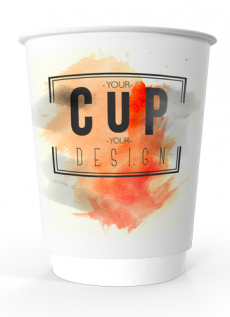 The cup can be customised with your logo or custom design. 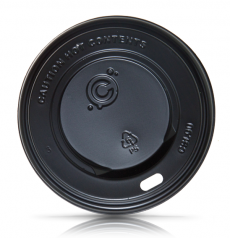 Your Double Wall Cups are printed with specialised, odourless and food safe inks using very high-end paper for our personalised Double Wall Cups. 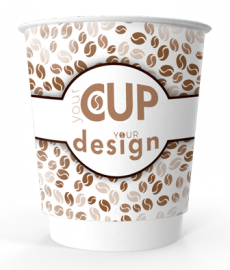 We are able to help you with your design and supply to you a 3D cup design prior to placing your order. Cups are available in 8oz, 12oz, 16oz and 20oz sizes. Our prices include Free (UK) Delivery* and Technical Fees. 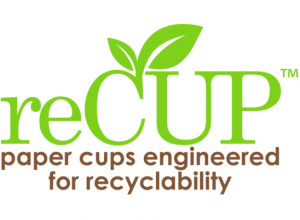 A reCUP® is made the way a paper cup should have been made from the start — with recycling in mind. The reCUP® uses EarthCoating®, an innovative barrier coating that replaces up to 51% of the plastic with minerals. This mineralized resin blend is engineered to be fully compatible with conventional paper recycling systems. 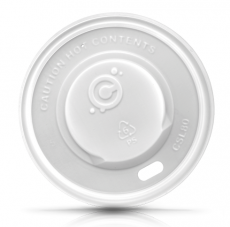 A simple change to the coating provides the recycling industry with paper cups that are easily recyclable today. We offer no-nonsense prices. All of our prices include free delivery to most parts of the UK and include free Technical Fees. If you are outside of our free delivery area we will contact you within 24 hours of placing your order at which point you are welcome to cancel it and we will offer a full refund. We also deliver to the EU and the rest of the world. If you would like a quotation please contact us.